#30Days30Writers series for Ramadan 2015. I broke my first ever Ramadan fast with a beer. I said my shahada (profession of faith as a Muslim) over Skype. My first hijab was a beach sarong. And before I had the Arabic pegged, I used to substitute the unlearned passages of salat with the Lord’s Prayer. As you can see, my conversion was an odd, higgledy-piggledy thing. It was a strange process of shedding off old habits — retiring certain prayers, the gospel songs I’d always sung in the shower and the inherited family grace that blessed our dining table — all the while deciding which practices and rituals from my new found faith to embrace as my own. For that reason, conversion can be both an exhilarating time and, as odd as it may sound, a period of mourning for a convert. I know it seems counter-intuitive to say that becoming Muslim, one of the highlights of my spiritual life, was also tinged with grief. But, it would be disingenuous to say otherwise. Saying goodbye to the religion that been my support during my formative years was sad and unsettling. Not only have your familiar reference points shifted or disappeared entirely, you are also coming to terms with the loss of your faith community. I was incredibly fortunate that the overwhelming majority of my family and friends supported me as the news of my conversion slowly spread. As wonderful as they were, I still had to face the reality that I wouldn’t be going to church on a Sunday on a weekly basis anymore. And naturally, my relationships would change as a result. Even now, four years on, I’m still searching for a community to call my own. In the meantime, I’m thankful to live in an age where I can connect with Muslims from around the world at the right-click of a button. Despite being isolated in a tiny English town during my first Ramadan, I was able to immerse myself in videos, kutbahs (sermons), and lectures about Islam. I joined social media groups and found Muslims from around the world who shared their stories with me and passed on their experiences and knowledge. Many of those Muslims are my good friends now, separated though we are by country or continent. But for all the encouragement I receive from online Muslim friends, it isn’t the same as a real life community experience, the lived-in physical experience of praying side by side, passing food to one another at iftar, and embracing one another at Eid. Although unofficial mosques are popping up here and there in Italy, where I now live and work, they are all too often lacking space, resources and a welcome for an English convert such as myself. I either feel like an outsider due to my inability to speak Arabic and Urdu, or I’m made to feel unwelcome for my inclusive interpretation of Islam and my wish to inhabit a space that treats women as equals, not as an after thought. After several failed attempts to mosque myself, I decided my spiritual well-being would be best catered to at home and among like-minded Muslims online. For most of the year, this is enough. It has to be. When Ramadan announces itself though, the lack of a local Muslim community to call home becomes all the more apparent. While I’m delighted to see friends enjoying communal iftars, taking on taraweeh prayers or taking selfies surrounded by loved ones celebrating together, it’s hard to keep the jealous thoughts wafting through the back of my mind at bay. Although I’d love the perfectly instagrammed iftars to come to life in my kitchen, I recognise that focusing on what I lack can be far more harmful than the lack itself. If I just reflect on those unattainable things, I miss the blessings of the Ramadan at my fingertips: My husband’s lovingly made meals, our tranquil suhoors spent nattering together about everything and nothing, and our congratulatory high fives for not having got on each other’s nerves all day while fasting. I may not have a “real life” Muslim community. But really, as the internet and social media become a fixture of our lives, the relationships we form online can be, and often are, just as meaningful as those off it. I am eternally grateful for the love, concern and support of online friends, which has meant the world to me these last few years. I have so many people to thank: From the kind Canadian who sent me my first ever Eid card even though she barely knew me to the British student who sent me a kurta because she wanted me to feel part of the community. And, every blogger, writer and editor who has given me a platform to speak as a Muslim – unmosqued and unexperienced as I am. Each of those gifts, however small or insignificant they may have seemed to the giver, was a welcome banner announcing in warm and unequivocal terms that my experience is valid and valued. Though the miles between us are many, I thank God for the close friendships I have with Muslims around the world, and I pray that this Ramadan I can do my part to make others feel just as unconditionally loved and accepted as my Muslim friends have done for me. 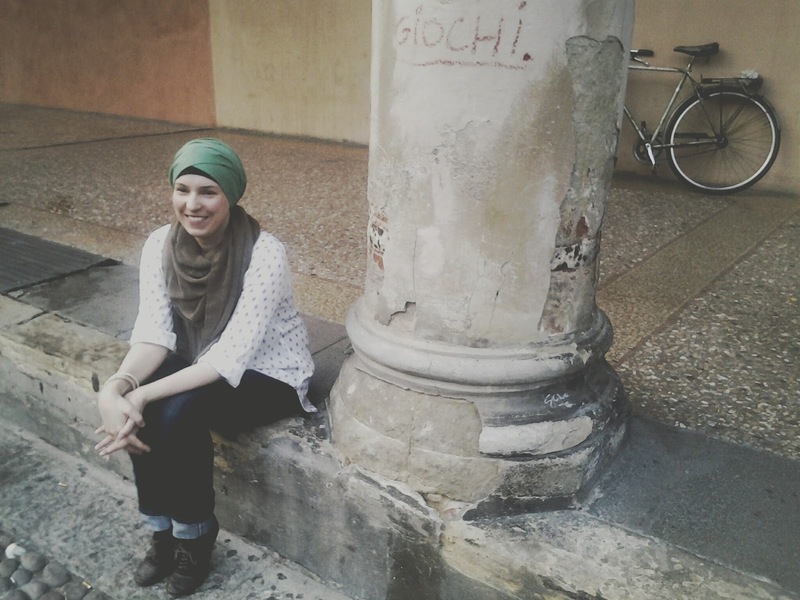 Sarah Ager is an English teacher, expat writer and interfaith activist living in Italy. She describes herself as an “Anglo-Muslim hybrid” after converting to Islam in 2011. She curates Interfaith Ramadan, an inclusive blog project bringing together writers of diverse faiths and none. You can find her on Twitter and Facebook. I understand the feeling of having a family over Skype . I am enrolled in one of the classes of Shara, my Arabic teacher from Preply.com ( http://preply.com/en/arabic-by-skype ). She introduces me to language partners to learn with outside class hours. It's like a whole circle of friends for free over Skype ! Since I attend classes regularly, they have pretty much become family to me.